Home » Tips » How to increase injection mold life? This is a very complicated topic, injection mold life is determined by many aspects, like mold steel, mold design, cooling effect, hot runner quality, workers regular maintenance etc. The injection mold life reply heavily on the mold design and steel used, usually the mold makers select the mold steel base on the molding production quantity required. Core and Cavity Hardness should be 52HRC or greater than that to process these types of plastic materials. 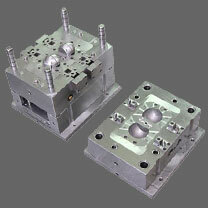 Using correct mold steels and vacuum heat treatment will give accurate hardness and have longer mold life expectancy. To increase the life expectancy of an injection mold, you need to do careful maintenance and avoid operation mistakes during molding plastic parts. Water lines can be a major problem. Run treated water or build from stainless. Build the tool solid, large pins, support pins, locks etc. use the mold safety settings on the press. Chart the number of shots it takes for the injection mold to start to run less well, and set up a plan to pull, service and check it before it hits that number. Replace worn parts. Greasing the moving parts before they start to make noise. Blowing down the water lines when the plastic injection mold is pulled from the press, or using quick disconnects that seal the water lines when they are disconnected. Thanks for helping me learn more about injection molds. I didn't know that the design of the mold can affect how long it last. it definitely sounds important to be aware of the different design options so that you can make an informative decision.